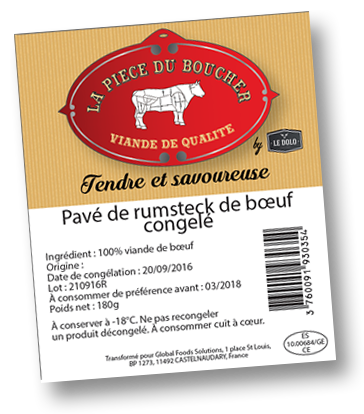 IFS (International Featured Standard) is a label created in 2003 with the aim of guaranteeing quality and safety levels among food product suppliers, following a uniform approach. 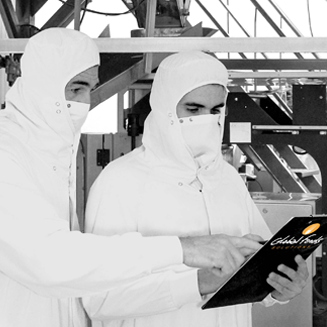 It is based on the ISO 9001 standard and the HACCP system. 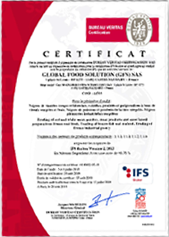 In 2014, Global Foods Solutions earned IFS Broker certification (for brokers only) and renewed this certification at the higher level in 2015. This official sign of recognition confirms our commitment to our quality approach, with our main aim still being customer satisfaction. This certificate is not an end in itself; it is just a step along the way, in line with our continuous improvement policy. to match your expectations ! All new partners are the subject of a thorough investigation followed by an appraisal before acceptance. 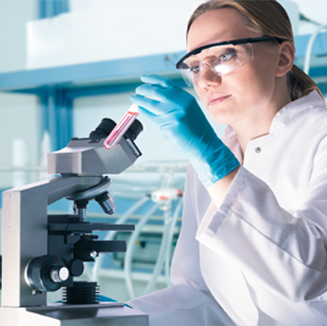 Follow-up of any corrective action. 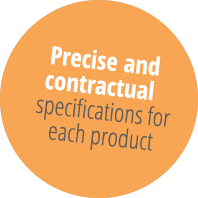 Assuring adherence to and control of manufacturing processes. Commitment of our teams to providing solutions to industrial issues. 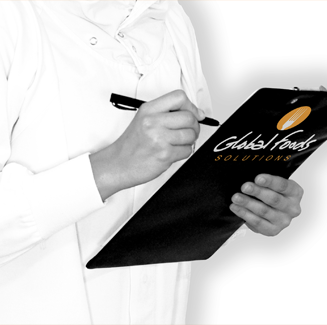 We work directly with the abattoirs and manufacturers, to guarantee you traceability from farm to fork ! using specific software, making access easier. Checking of our productions during site visits. (one in France, one in Spain and two in Poland).